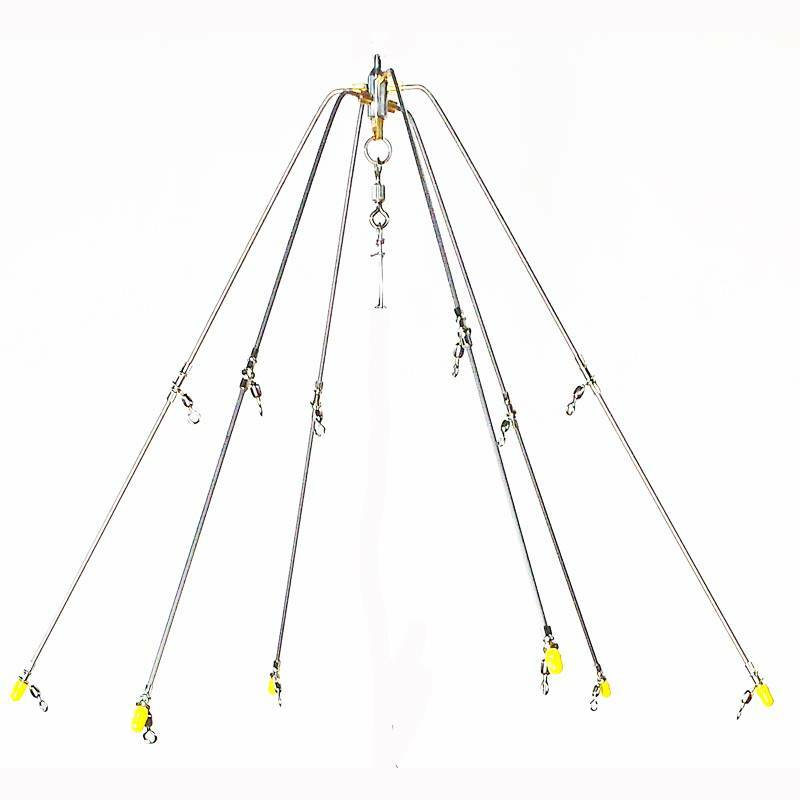 Tournament Cable has taken the traditional dredge set-up back to the drawing board, and come up with the most streamline, low friction, low resistance, high quality dredge on the market. 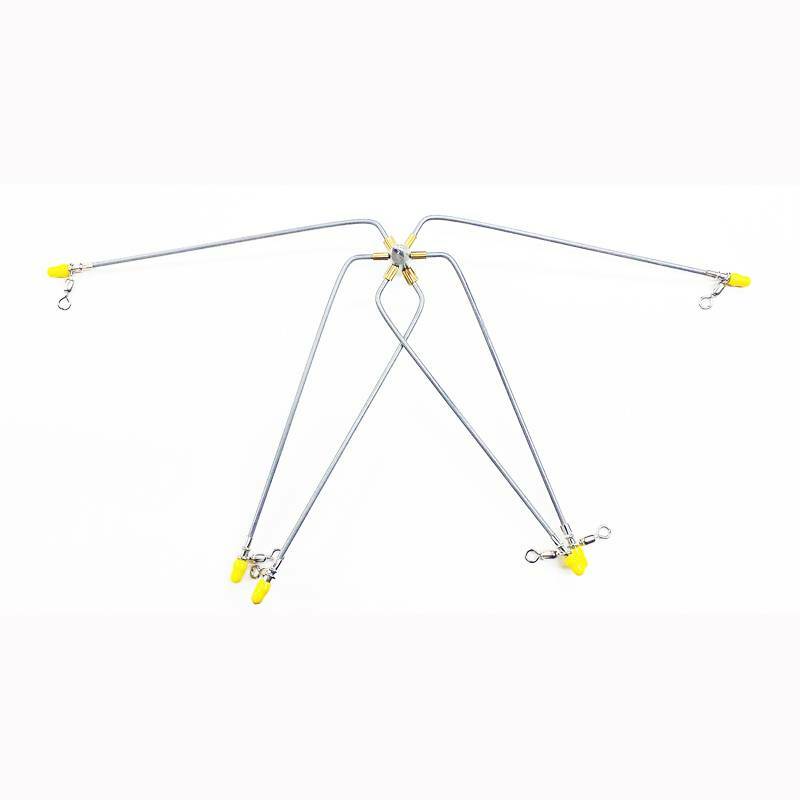 With free-swinging arms that add to the swimming action of your baits, the Tournament Cable Tier Drop Dredge is machined and produced with quality in mind and hydrodynamics in engineering. Specifically designed to reduce resistance while replicating the most natural bait ball possible, the arms of this dredge are pre-bent to a degree that satisfies both these qualifications. 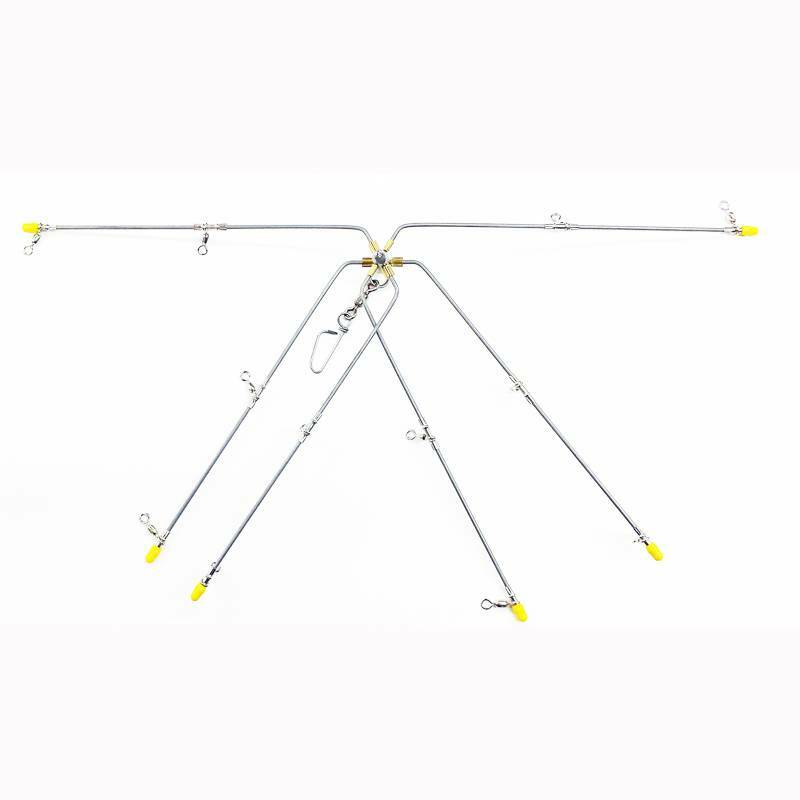 Folding flat for easy storage and rigged with the super-durable Tournament Cable 3D Stickbaits, this is the one dredge you will go to every time, regardless of the size platform you’re fishing or which specie you’re after.